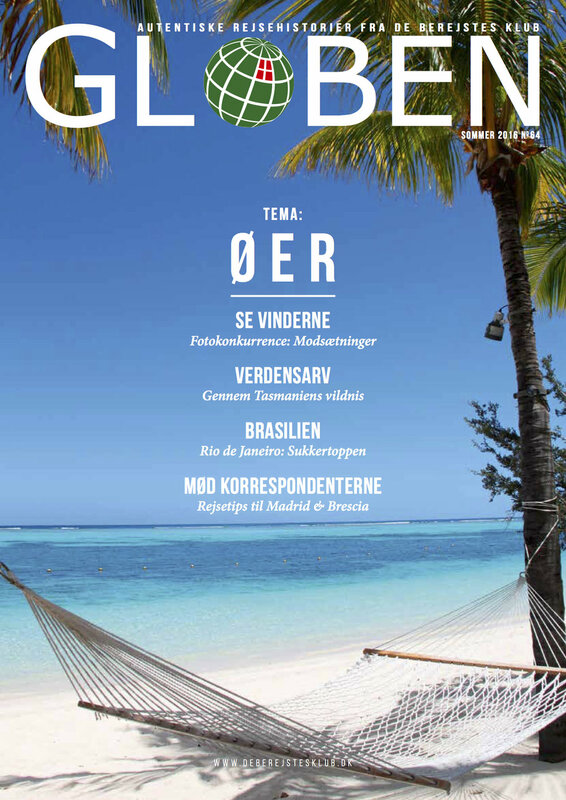 From 2014 until early 2017, I have been designer for Globen magazine, which aims at presenting travel stories from submissions by De Berejstes Klub members. The magazine has enjoyed an improvement over the years in terms of print quality and photos (thanks in part to digital cameras). Below are the covers of seventeen issues I have designed accompanied by a brief description and link to download. My last issue as designer for the magazine. The theme is Expedition and Adventure. Link to download is not yet available. The issue is about Africa and other stories, including a luxury stay in Dubai, volcano island of Flores in Indonesia. Link is not yet available. The theme for this issue is travel stories on the islands across the world. Also, the winners of photo competition titled "Contrasts" are announced. Download the issue here. The 20th Anniversary issue is designed in a special matte paper and the whole issue is in black and white to fit the theme "A World in Black & White." Download the issue from this link. America: North & South is the theme for this issue. The stories take us from USA, Mexico, Cayman Islands, Colombia, Ecuador, down to Argentina. Download the issue here. In this issue, several travel tips and suggestions are offered, ranging from how to travel with kids, take a bike tour through Europe, buy cheap flights, etc. Download here. The theme is Exotic Travel Destinations, taking the readers to places not many has visited. Tristan da Cunha, Curaçao, the North Pole, Abkhazia, and more. Read here. This Out in the World issue takes us to adventures in Kyrgyzstan, Ghana, Algeria, India, Russia, and many more. Download the issue by clicking here. In this issue, the stories talk about divided territories across the world, from Ireland, Germany, Korea, Israel, Nepal, and others. Read the issue in whole here. The Indigenous People issue tells the stories of remote places far beyond civilisations, in the jungles of Papua New Guinea and Indonesia, among the tribes in Ethiopia, Congo, Tonga, Zimbabwe. Discover it all right here. This issue portrays several stories of the members' road trip journeys across the fjords in Norway, cycling in Peru, camping near the volcano in Turkmenistan, adventures in Iran, Rwanda, and others. Read here. Uzbekistan, Kyrgyzstan, Indonesia, Thailand, Japan, Vietnam, Taiwan, Nepal, Armenia are featured here in this Asia issue. These exotic stories are the next best thing to actually being there. Download issue 55 here. Borders have always been a construct that emphasises on the differences rather than uniting mankind. In this issue, the stories discuss what impact a border has on people's lives across the world. This Outdoors issue takes us to witness whale sighting in Qatar, hunting in the Amazon, cycling in Paraguay, climbing in Norway, Argentina, Chile, voodoos in Benin, and much more. Read them here. Spirituality and Religion is the main theme for this issue, where the stories revolve around Christianity in the Vatican, Hinduism in India, Buddhism in Myanmar, Islam in Kuwait, Celtics in Germany, and more. The theme for this issue is Our Best Travel Experiences, and it tells the stories of club members tracing the parents' past in Sierra Leone, expedition in the Solomon Islands, wedding adventure in Italy, and much more. Download the issue here. My first issue I designed has stories on Central and East Europe, from Ukraine, Albania, Poland, Russia, Serbia, Lithuania, Austria, Slovakia, Slovenia, among others. The layout is redesigned and typography reviewed to make a transition towards a more consistent look throughout.